Choker – stylish or not? 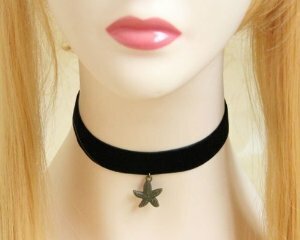 In the last years a lot of women started to wear in different occasions a specific kind of jewellery – choker. 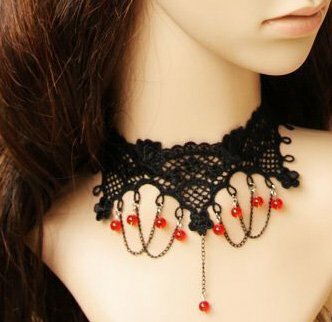 According to wikipedia.org a choker is a close-fitting necklace worn on the neck. 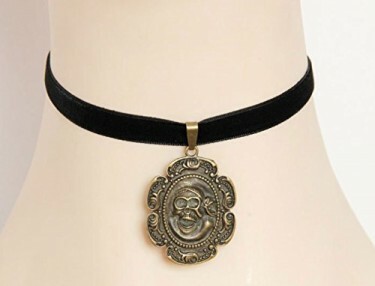 Chokers can be made of a variety of materials, including velvet, plastic, beads, metal such as silver, gold or platinum, leather, etc. They can be adorned in a variety of ways, including with sequins, studs, or a pendant. It was associated with high fashion, but could take on different meanings under different circumstances. A choker is made of a thin loop of thread or ribbon (or maybe velvet) and sometimes looks like a henna tattoo. In my opinion those kind of jewellery could very chic if they are combined with proper outfit and proper other accessories. So, if you decide to wear them be creative and try to give them a proper attention.